Bookstores. Small ones, independently owned and operated. Remember those? You know, the ones you would walk into and feel the weight of history’s greatest authors looking down upon you from the shelves, while you looked around in awe at all you didn’t know. A place where you could browse for hours. As a kid, it was a special treat to visit Oxford Books on Pharr Road in Atlanta. When I earned my driver’s license in 1990, I would occasionally venture into the metro area from the suburbs and go to the coolest places, including Oxford. When traveling to cities across the country in the subsequent years, I’d be delighted to stumble upon local, indie bookstores. But it seemed over the years that the bookstore landscape became dominated by Barnes & Noble and other big chains. And then came Amazon and the Kindle. Talk about a world being disrupted. The media has long written about the downfall, demise and death of the corner bookstore (sound familiar?). Local media pounced on the stories of mom-and-pops going out of business, contrasting the meteoric rise of Bezos and Amazon. And yet, upon closer examination, one will see a rebounding and thriving industry. Since the recession, the number of indie booksellers has been on the rise, as well as book sales at these stores, which still pepper the American map. 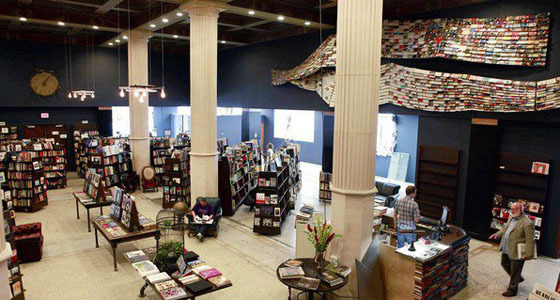 Not without their perennial challenges and disrupters, independent bookstore owners are evolving. According to my friend Oren Teicher, CEO of the American Booksellers Association, bookstore owners are embracing operations and marketing technology, diversifying what they do with child literary camps, travel services, coffee shops and community events. They’re also buoyed by the “Buy Local” movement, which is indeed working. Lastly, the publishers and other vendors to booksellers are recognizing the importance of symbiosis with their client bookstores and offering more favorable terms and programs. They understand the importance and role of the bookstore within the reading universe. Pivot to golf, and here are the parallels: owners and operators are looking at their facilities in new ways. We all need to get behind any promotions to get Americans outside and moving (our version of “Buy Local”). And our industry vendors need to look at their golf course clients as partners, upon whose success should mean their own success. Let’s change the narrative out there, folks. But in order to do that, we should also change the reality. What do you see evolving inside or outside of golf that we could learn from? Salam hangat bagi para pecinta permainan Judi khusunya penggemar Judi Online. Untuk anda yang menginginkan segala macam Bonus dengan akses yang sangat mudah mari bergabung dengan kami di SITUS JUDI ONLINE DENGAN JUDI BOLA SBOBET DAN JUDI SLOT TERPERCAYA . Kami akan menjamin segalanya untuk kenyaman para pemain dan akan membantu untuk memperoleh keuntungan berlipat dan tiada habisnya.